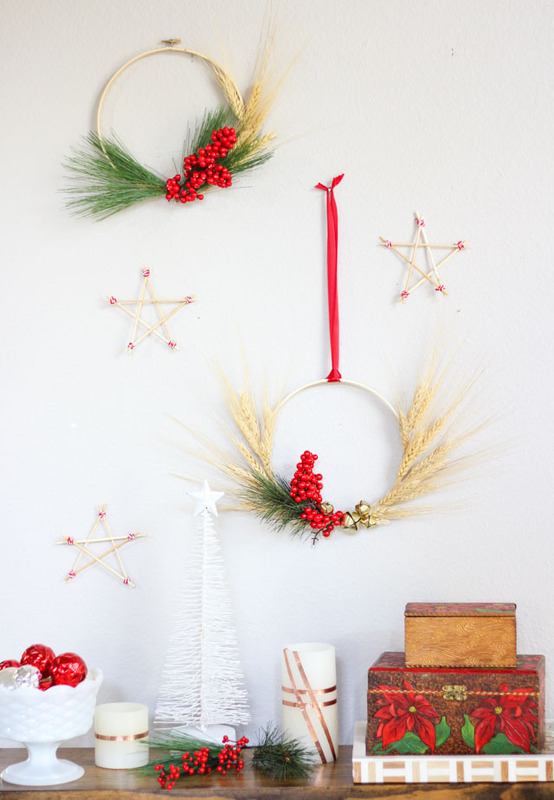 I love making easy DIY garlands for the holidays to decorate the mantel. 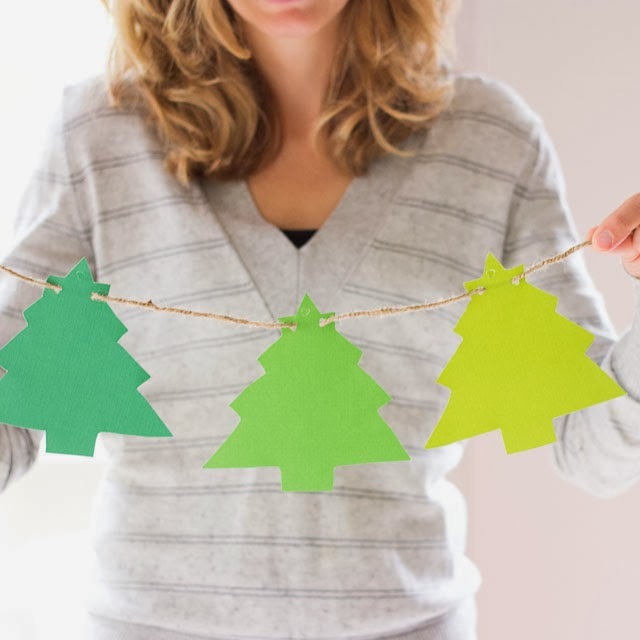 This ombre Christmas tree garland just requires a little cardstock and twine (and a cookie cutter!). 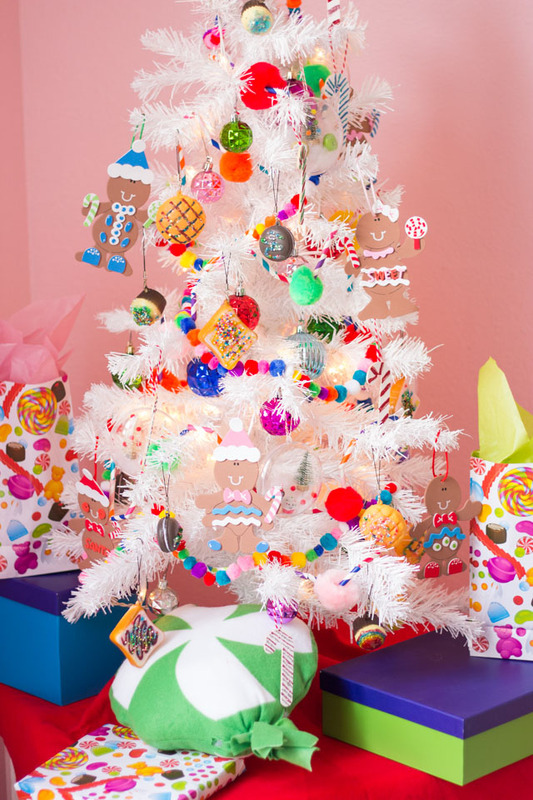 It is similar to the simple paper Easter bunny garland and St. Patrick’s Day garland I’ve made in the past. 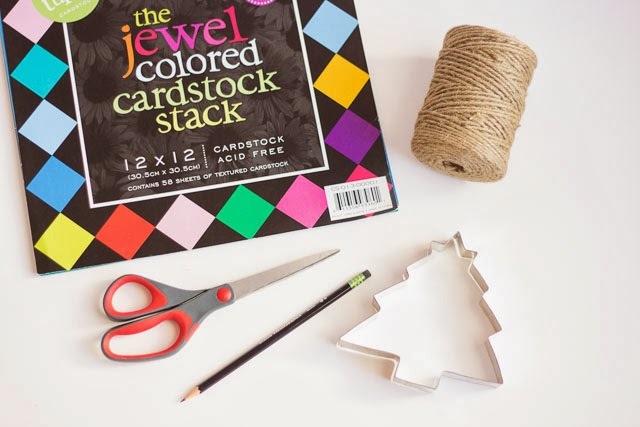 Trace several trees out of each shade of green using your cookie cutter (or other template) and pencil. Cut out the trees and punch two holes at the top. 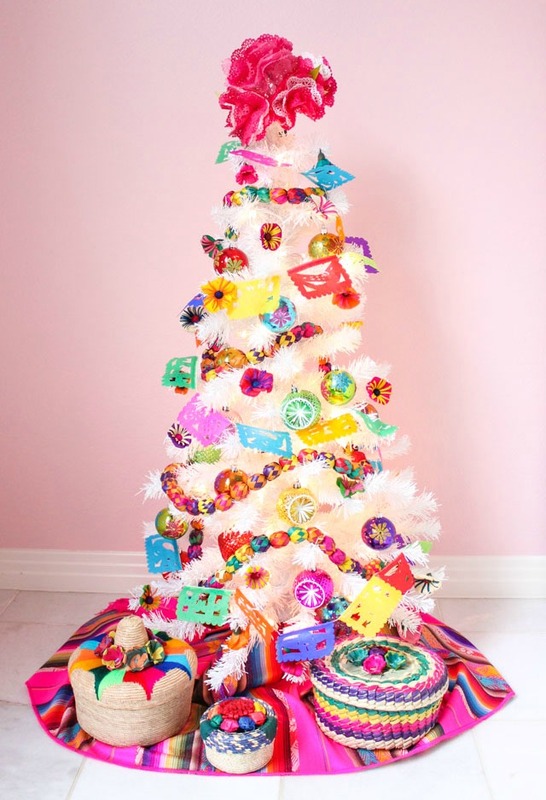 This is important, if you only punch one hole the trees won’t lay nice and straight when you hang up the garland. 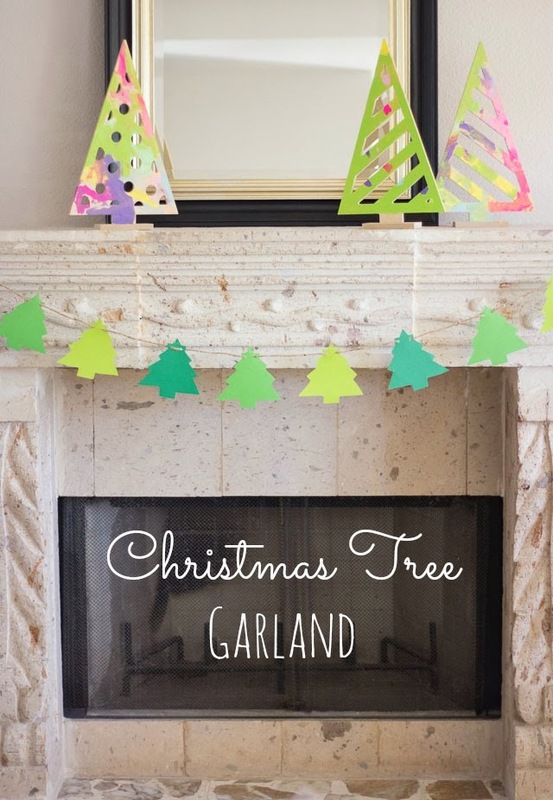 String the twine through the holes in the trees and then hang your garland! 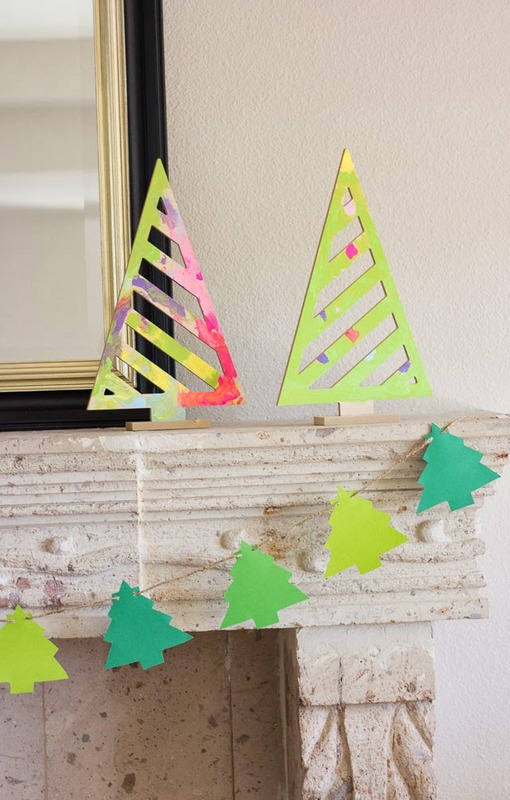 I’m still working on the mantel decor in our family room but so far I like the happy feel of the tree garland paired with these modern wooden Christmas trees that I let my girls paint the other day. If you see these at your local Hobby Lobby, buy them up! 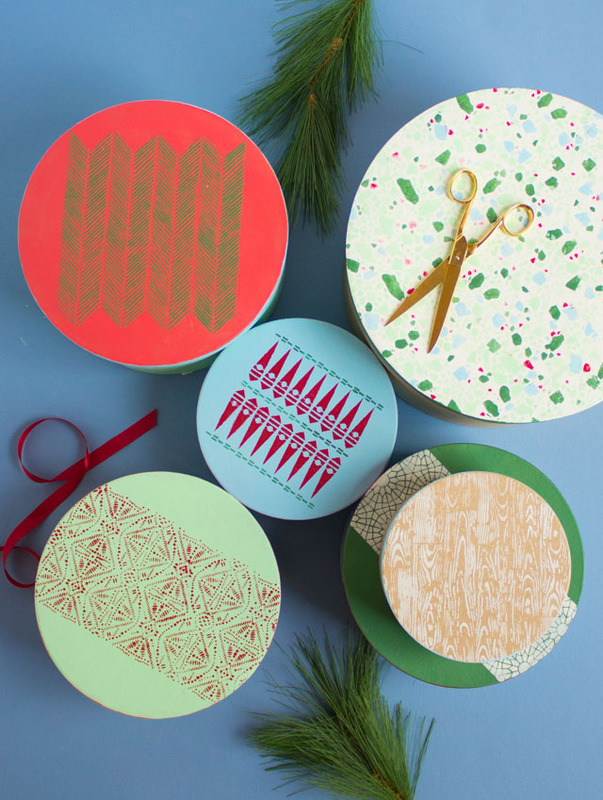 They are only $3 each at 50% off and make for a super fun craft project!